Gray Skull Sword Cane | BUDK.com - Knives & Swords At The Lowest Prices! 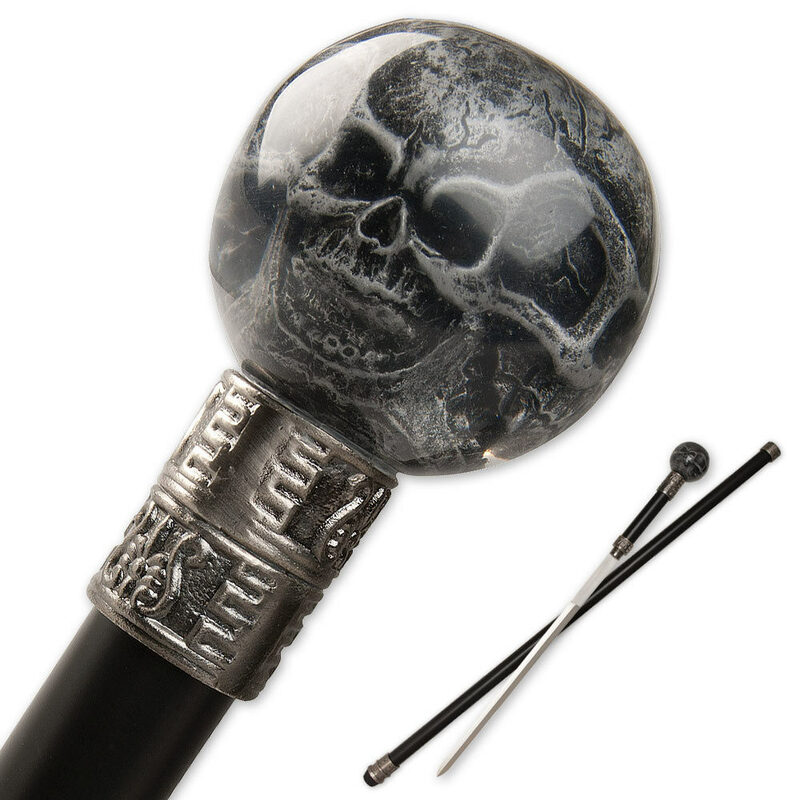 The handle of this awesome sword cane features a clear acrylic coating allowing you to see the poly resin skulls that loom inside the top. This item measures 37" overall and is equipped with a 15 1/2" stainless steel blade that slides into the scabbard constructed with cast metal fittings and tip for precision balance. The blade is dull and clang when you walk with it. If it start fall apart I can fix it. Not worth full price to pay for it, needs improvement before I before I order any more cane swords. I like the look of mind and good to walk with. Just finding a way to stop the clanging sound sound. The head fell off, blade not sharped would not wish this on anyone!!!! I would've been perfectly happy if the blade was the only thing needing work. Besides the fact that it has no edge, the blade is a little loose. The part I am really unhappy with is that the skulls inside the acrylic are way off center. Hopefully I can reshape and recenter the clear coat somehow. I have purchased better quality caneswords for less and I have to say this is the first time I've ever been disappointed with a product from this company.